In the 15 years we have been designing student accommodation, students’ needs have changed. They expect to be able to exercise on site, study in groups, cook together, dine together and socialise in wild and wonderful ways. We have seen a widening of the market offer, with some pushing the envelope of affordability while others are seeking greater levels of luxury. Despite this, there’s been a convergence in one key value: wellbeing. Halls are viewed as homes away from home and the quality of student experience is vital. To this end, we have seen our briefs adapt to focus on both the physical and mental wellbeing of students. Overall layout and adjacencies are fundamental to wellbeing. The idea of “living in the building, sleeping in the bedroom” is one the sector is starting to adopt, and for us, this makes perfect sense. Although there is still a place for studio apartments, the days of providing minimal social space within these developments have gone. Research shows that students are more isolated within studio developments and common spaces become critical in helping communities develop. Shared bathroom facilities have been growing in popularity from the early townhouses delivered 10 years ago to the cluster flats of today serviced with shared facilities. 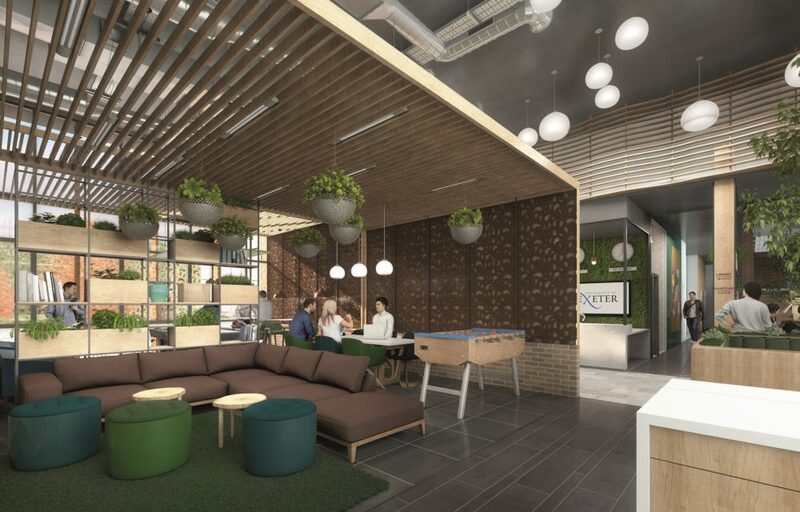 At the University of Exeter, the Student Guild requested that 20% of new on-campus accommodation is at a lower rental level with shared facilities. Keele University has gone further with approximately 80% of their new accommodation featuring shared bathrooms. Inclusion is key here. Instead of entering the cluster via an empty corridor, students access their bedrooms through a generous communal living space full of the possibility of interaction. Our most recently completed schemes for the University of Bath provide common study rooms shared between two cluster flats and centrally located quiet group rooms. These spaces were in addition to the traditional kitchen, living and dining rooms. Having been so popular with students, we introduced similar spaces into postgraduate accommodation completed in 2018. It seems we all agree that wellbeing is an essential focus for any accommodation. But perhaps it should extend further than the envelope of the building? Recent research suggests that students have a desire to participate in the greater community. So the next challenge is to find ways to break down barriers between the student population and the area they live in. We are now designing a number of student accommodation schemes that integrate co-living facilities. The next step will be to open up some communal facilities to the wider community. We are already exploring opportunities for one university to share their library and catering facilities with a nearby senior living scheme. Whilst we are still some way from the Dutch models of students living with elderly residents, I would welcome this approach here in the UK. After all, ‘student living’ is simply just ‘living’ and it’s a healthy community that has true longevity and value.